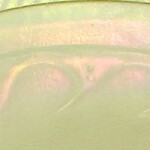 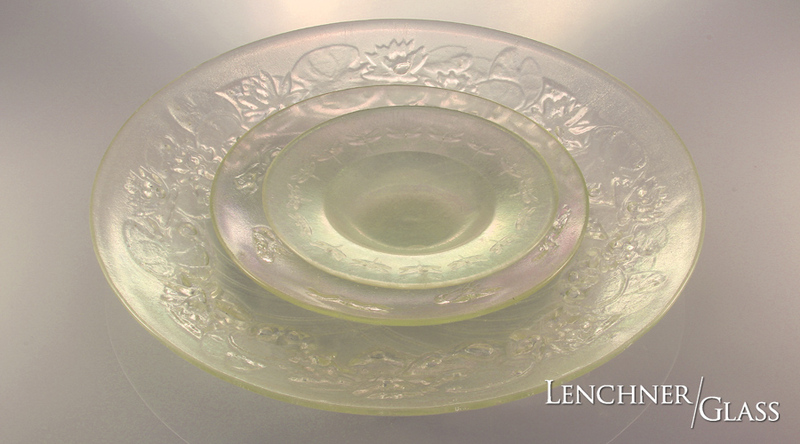 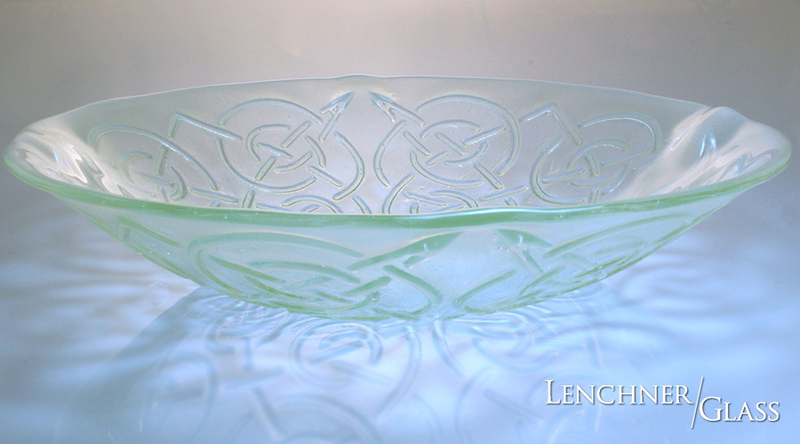 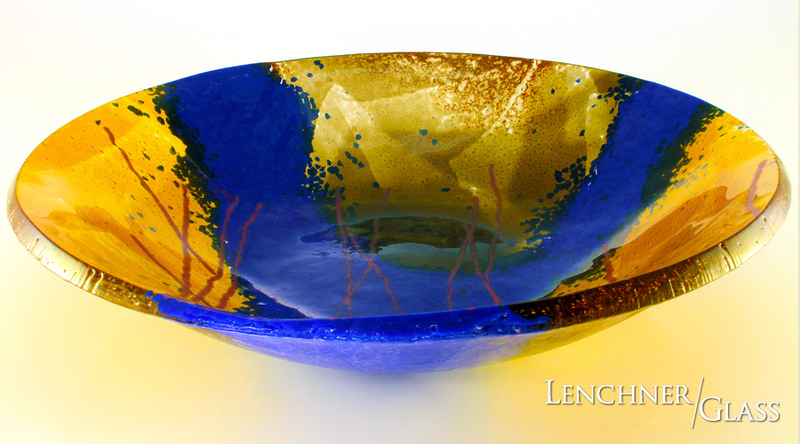 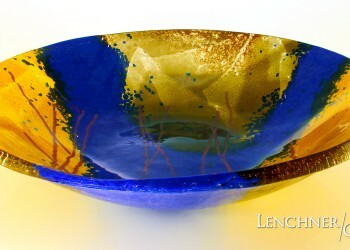 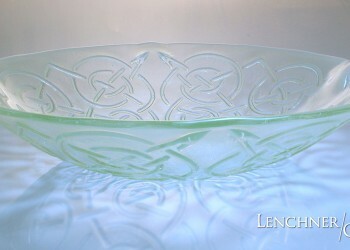 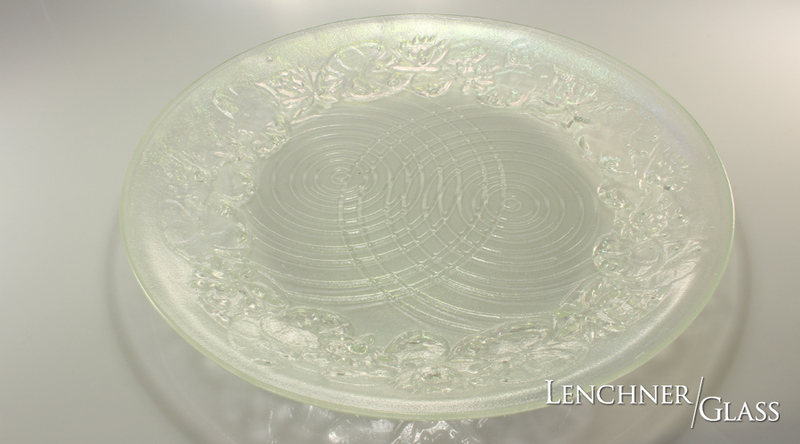 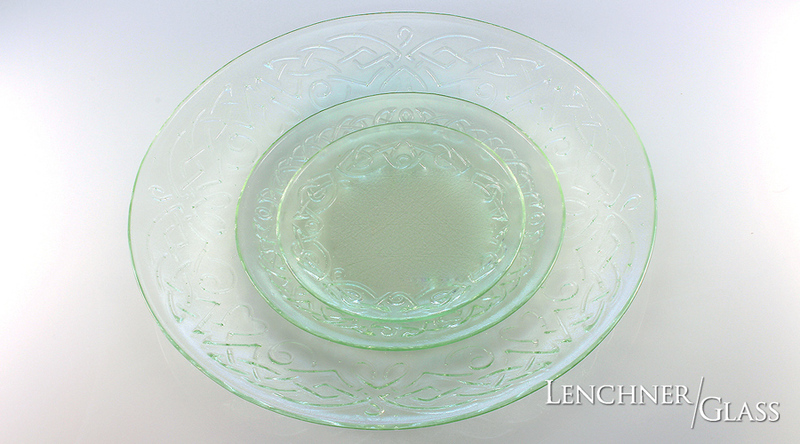 Lenchner Glass Company handcrafts several unique lines of fused glass tableware, all of which convey our signature luminescence. 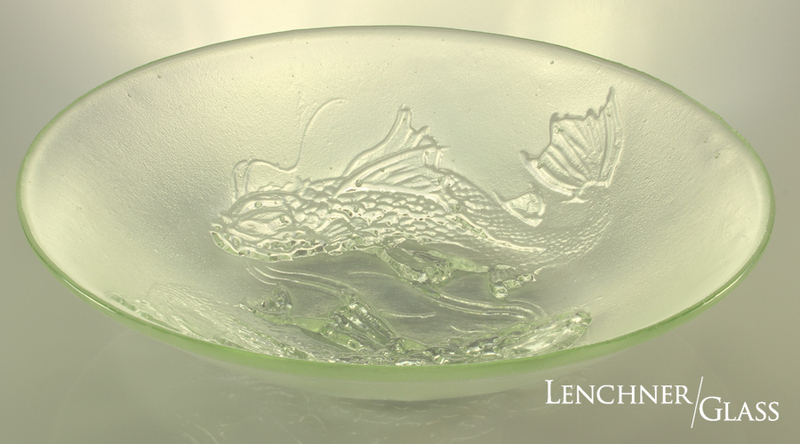 Browse our collection and place your order online for the perfect birthday, wedding or anniversary gift, or to add artistic flair to your table at home. 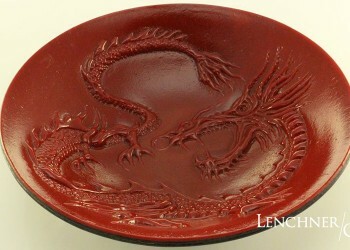 We also create custom tableware to match your decor to your specifications. 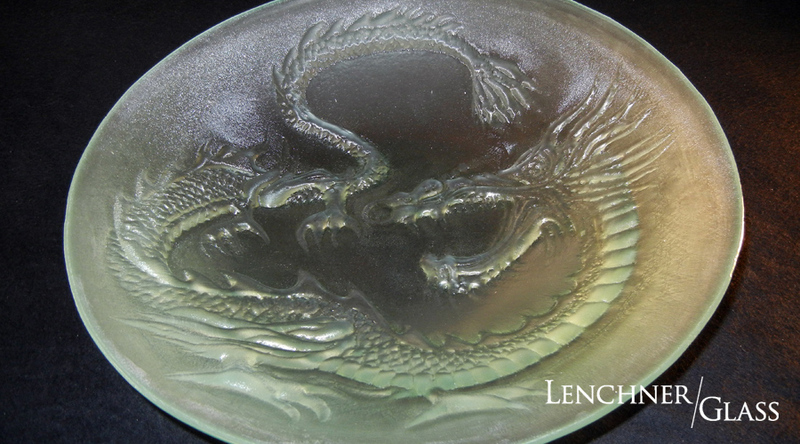 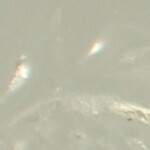 Choose virtually any size, shape, thickness, glass tint, finish, texture or motif to bring your ideas to life. 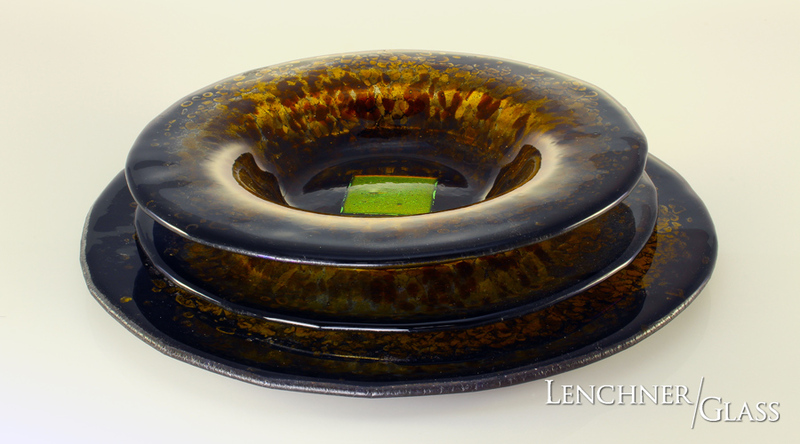 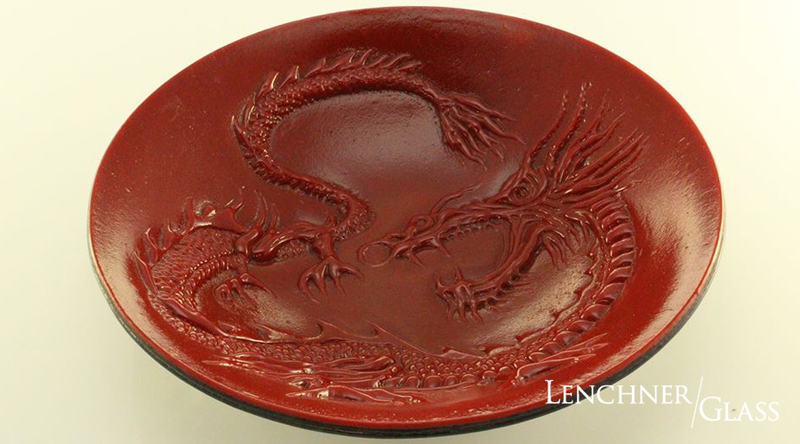 For custom orders, call us directly at (818) 609-9406 or send an email to Steven@LenchnerGlass.com.